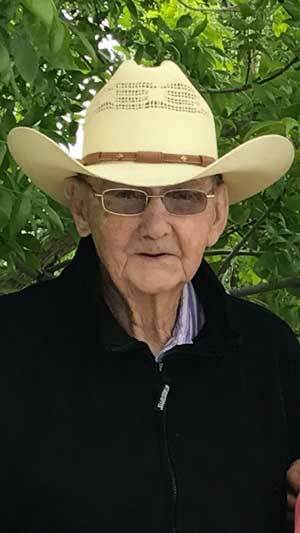 Gerald L. Perkins was born July 31, 1931, to Andrew and Rose Mary Perkins at the family ranch near Meeteetse. He attended school in Meeteetse and worked on various ranches in the area, always riding the rankest horses because the pay was better than the $100 monthly wage. He married Helen Gould Lentz and became an instant father to her two daughters, Barb and Connie. In August of 1955 son Chuck joined the family. Gerald and Helen were later divorced. 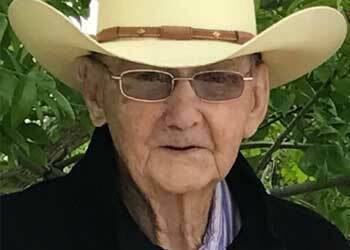 In 1962 Gerald went to work for the Wyoming Stock Growers as a brand inspector. He was transferred to Lovell in 1964. On March 3, 1970, he married Mary Lou Pryde Bischoff and helped raise her three children: Robb, Cindy and Jay. In May of 1971, son Andrew made the family complete. After retiring from the stock growers he worked construction for several years, building fence all over the state of Wyoming. In 1998, he went to work for Keith Grant at Midway, operating his track hoe until his retirement at age 75. In September of 2015 Gerald was inducted into the Wyoming Cowboy Hall of Fame, an honor he was very proud of. Gerald died at North Big Horn Hospital Saturday, April 14, 2018, of cancer in the presence of his family. He is survived by his wife of 48 years, Mary Lou; his son Andy and his wife Becky; his stepsons Jay Bischoff (Debra) and Robb (Bonnie) Bischoff; his stepdaughters Cindy (Tim) Marton, Barb (Chris) Renner and Connie (Mike) Sondeno; eight grandchildren, four step-grandchildren, three great-granddaughters and five step-great-grandchildren. He was preceded in death by his parents, his sister Myrtle McSharry and his son Chuck. Services will be held in the LDS Church, 50 W. Main, in Lovell on Monday, April 23, at 2 p.m.
I’m sorry to hear about Geralds passing, it was nice visiting with him and Mary Lou at the cousins reunion a few years back. I love to read Obituaries of our loved ones .. they show us what their lives were really like, especially if we hardly know them. I’m not sure why they had the funeral in the LDS church? Was he LDS or his family?